Aquariums come in all shapes and sizes. 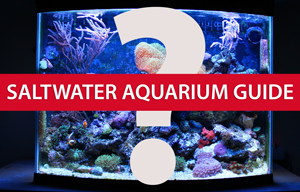 If you are new to setting up an aquarium, you pretty much have a ton of choices when it comes to selecting and aquarium type and you will have have tons of options available when you dig into the world of aquarium supplies. Common aquarium materials are glass and acrylic. Aquarium cabinets and stands can be found in wood, metal, stone and many other types of materials. Basically, if a material or stand type is sturdy enough to hold an aquarium it probably has been used to hold or support an aquarium by some hobbyist out there. Typically used aquarium supplies range from power filters to lighting hoods to protein skimmers to heaters to thermometers… well, you get the idea.